On May 29, 2013, the FDA (Food and Drug Administration) approved the use of Invokana to treat patients who have type II diabetes. When Janssen Pharmaceuticals, a subsidiary of Johnson & Johnson, submitted a new application to the FDA the approval process took less than a year for the federal agency to consent to its sale in the U.S. medical marketplace. Since then, there have been many actions taken by the FDA against the maker of the selective sodium glucose co-transporter 2 (SGLT2) inhibitor medication Invokana. Rosenfeld Injury Lawyers LLC represents victims who were harmed after taking Invokana, Invokamet and Invokamet XR, and other types of professional negligence. Our law firm has successfully prosecuted cases for our clients who were never informed of the dangers of taking inhibitor medications or their serious side effects. Our attorneys are available to answer any legal question on how to receive the monetary compensation you deserve if your injuries were a result of someone else's negligence. Should you have additional questions, we invite you to contact our office for a free review of your legal rights. To date, the FDA has not issued a formal recall of Invokana or any other SGLT2 inhibitor medication because of serious problems and dangerous side effects. However, this should not come as any surprise. The FDA moves very slowly and is extraordinarily cautious in issuing a recall of any pharmaceutical product and usually do not take action until there is significant push back from doctors, injured patients or the medical community. The federal agency normally takes many years to conduct exhaustive investigations before reaching any decision to recall. In 2016, the FDA updated a previously released Safety Alert by calling attention to the potentially serious risks of amputation affecting patients taking Invokana, Invokamet and other canagliflozin medications. The federal agency ordered the pharmaceutical manufacturer to carry stronger warnings on the drug's Black Box Warning Label that details its severe, life-threatening risks. In May of that year, the drug maker publicized the results of a clinical trial that revealed the incident rate of amputations was significantly higher among individuals who took the drug compared to others taking a placebo. The Safety Alert warned patients that they were twice as likely to undergo a limb or appendage amputation. A second clinical trial verified the elevated risk of amputation involving Invokana use. Doctors prescribe Invokana, Invokamet, and other canagliflozin medicines to lower blood sugar levels in patients with type II diabetes. However, to be highly effective, the medication should be used alongside routine exercise and a healthy diet. The drug is an SGLT2 inhibitor that helps the kidneys remove sugar (glucose) from the body through urination. Invokana is a single drug and Invokamet is a combination drug that is formulated with Metformin. The results of clinical trials revealed that Invokana could reduce A1c levels (a measure of glycated hemoglobin in the bloodstream) to below 7.0%. Doctors diagnose type II diabetes in patients with an A1c level of 6.5% or higher. Patients with an A1c level between 5.7% and 6.4% are usually diagnosed with a prediabetic condition. A Janssen Pharmaceuticals spokesperson stated that it was the clinical trials that prompted the FDA to call for a stronger warning labeling, even though the greatest risk for amputation was found in patients who had already undergone an amputation procedure. The pharmaceutical giant released the results of their clinical trials at the annual meeting of the American Diabetes Association in June 2017. The data revealed how Invokana reduced the incident rate of stroke, heart attacks, and cardiovascular death among diabetic patients at the highest risk. However, the company did state that taking the popular diabetes medication doubled the patient's risks of needing a lower extremity amputation when compared to other SGLT2 inhibitor medications like Jardiance. Diabetic Ketoacidosis – The FDA ordered Invokana makers to add ketoacidosis and urinary tract infections to its Black box warning label. This condition occurs when the body produces excessive amounts of ketones and chemicals that accumulate in the bloodstream. When dangerously elevated levels are reached, the outcome can be deadly. Kidney Injury – The federal agency issued a Safety Communication release that warned patients that taking SGLT2 inhibitor medications for the treatment of type II diabetes could increase the risk of kidney injuries including kidney failure. The safety warning involved taking Invokana, Invokamet, Farxiga and Xigduo XR. Between 2013 in 2015, the FDA received more than 100 reports of patients who suffered acute kidney injury. Seventy-three of the patients had taken Invokana, and 28 others took Farxiga. Bone Fracture – A safety warning from the FDA revealed their concerns over the increased potential risk of Invokana users to experience bone fractures. Because of this, the federal agency required an update to the medication's warning label that describes that there is an increased potential risk for reduced bone marrow density. Urinary Tract Infections that can cause blood infections (sepsis). Cardiovascular Problems including heart failure. In the last few years, there has been significant scrutiny worldwide over the use of SGLT2 inhibitors including Invokana and Invokamet. A December 2014 report from Lancet Journal of Diabetes and Endocrinology revealed evidence showing SGLT2 inhibitors had the potential of increasing the risk of bone fractures. The report urged further investigation which likely prompted the additional warnings issued by the FDA. 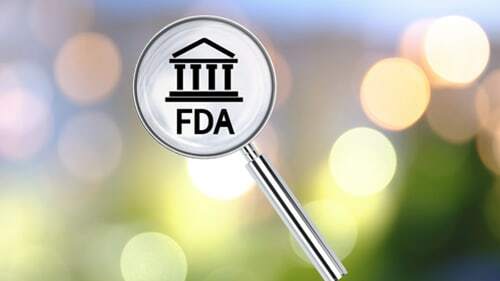 The European Medicines Agency (EMA) initiated an investigation in June 2015 to verify the potential risks of Invokana users developing diabetic ketoacidosis. The study included more than 100 patients who had developed the life-threatening condition after taking an SGLT2 inhibitor drug. In late April 2018, plaintiffs in Canada filed the first “class action” suit alleging that the Invokana is dangerous and known to cause kidney failure. Oddly, Health Canada, a governmental health regulating agency, had only recently approved the drug for use in May 2014. Many of the lawsuits claimed that Janssen Pharmaceuticals failed to warn patients and doctors that their product had severe side effects and the company was negligent for their failure to test the drug properly. In October 2017, the research and development department of Janssen Pharmaceuticals submitted a supplemental New Drug Application to the FDA. The company is seeking to expand approved use for Invokana, Invokamet and Invokamet XR to reduce the potential risk of Major Adverse Cardiovascular Events (MACE). The drug manufacturer wants the approval for doctors to prescribe their medications to reduce the risk of stroke, myocardial infarction, and cardiovascular (CV) death. The expansion of their medication to reduce cardiovascular problems is the result of the findings revealed after their clinical trial program was completed. The program helps to clarify the canagliflozin drug's cardiovascular safety and efficacy in patients taking Invokana compared to those taking a placebo. Have I Been Injured by Invokana? The new safety communication warnings issued by the FDA calls into question the health of every individual taking Invokana or Invokamet. However, the Food and Drug Administration has not yet recalled the drug or pulled it from the medical marketplace completely. The clinical trials have revealed that only about eight individuals out of every 1000 patients taking the prescription drug have an increased risk of amputation. The bad drug injury attorneys at Rosenfeld Injury Lawyers LLC understand that the harm you endured after taking Invokana was not your fault but was caused by the negligent action of the pharmaceutical company. Our legal team has successfully prosecuted bad drug cases where our clients were injured just like you. Our attorneys have successfully obtained millions on behalf of the victims and their family members to ensure they were adequately compensated to cover their medical expenses, household bills, lost wages, loss of future earnings, pain, suffering, and emotional damage and can help your family too. We encourage you to contact our attorneys today to schedule a free, no-obligation case consultation to discuss the merits of your monetary recovery claim. Our legal team accepts all personal injury cases, wrongful death lawsuits, and dangerous medication injury claims through contingency fee arrangements. This legal contract postpones the payment of legal services until after we have successfully completed your case through a negotiated settlement or a jury verdict.